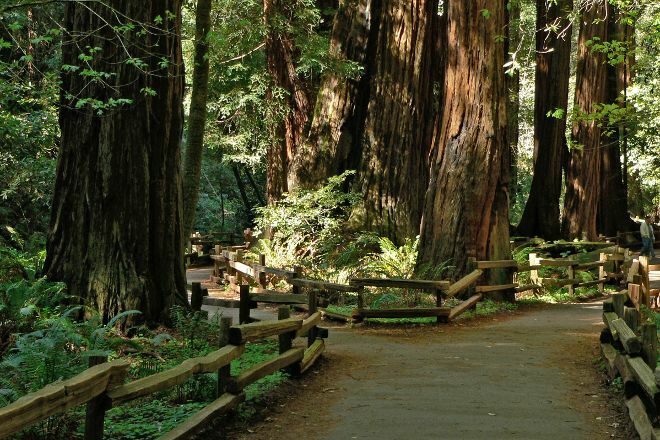 Just a short drive north of San Francisco, Muir Woods National Monument protects a pristine area of about 97 hectares (240 acres) of old-growth redwood forest. Walk among the giant trees, which are some of the tallest living things on the planet. You can choose from several trails, ranging in length and difficulty. For an easy hike through a grove of trees nearly a millennium old, take the short main trail loop. If you feel a little more adventurous, put on pair of good hiking shoes and take the 3 km (2 mi) trail to the top of "Cardiac Hill," which offers unobstructed views of San Francisco and the Pacific Ocean. 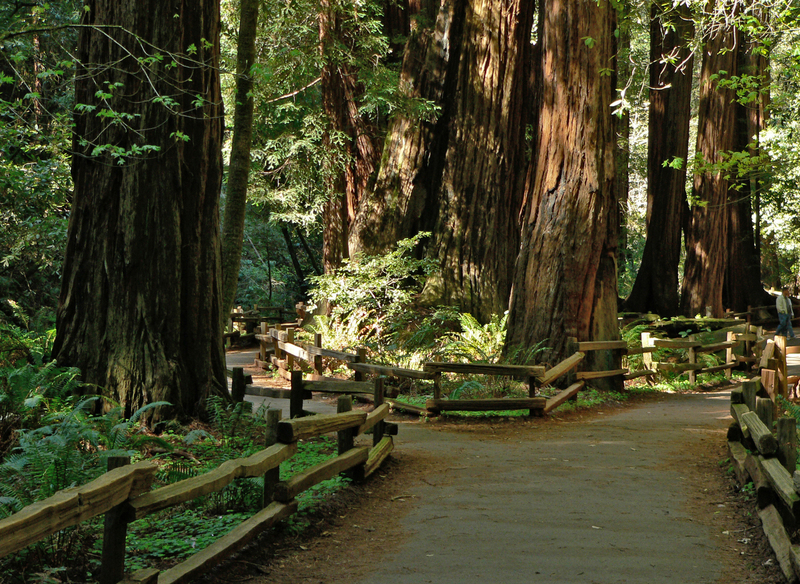 To visit Muir Woods National Monument and other attractions in Mill Valley, use our Mill Valley trip planner . How anyone could rate this place less than 5 stars I have no idea. There’s a lovely raised wooden platform for the flat stretch along the stream, but I enjoy the less traveled trails. Pro tip: make sure you buy your parking pass in advance online! They will not let you park there otherwise and you’ll have to drive 20 minutes away to take a shuttle. There’s no cell reception so if you take a ride share make sure to schedule a pick up BEFORE descending down the hill (where you lose service). Get there early to beat (most of) the crowds so you can enjoy the splendor of the ancient redwoods and make sure to catch some of the rangers’ educational talks on the wildlife! Wow! This was a fantastic visit! I hadn't seen the giant redwood trees in about 30 years and seeing them again after such a long time was truly amazing. Standing below one of the trees and looking up is awe inspiring. If you haven't seen these trees in person, it's hard to describe how special the experience can be. It isn't always easy to find parking in the park, but it's worth whatever minor hassle you have to go through to visit this amazing park. Absolutely worth your time!!! !